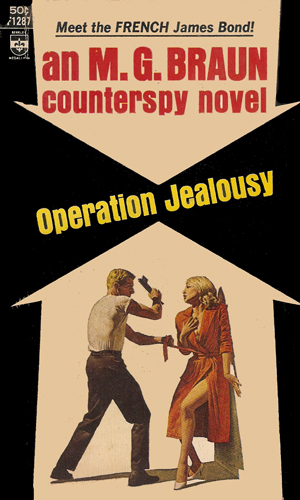 Operation Jealousy is one of many Alex Glenne spy novels written by French writer M G Braun (Maurice Gabriel Brault) who passed in 1984. There appear to be 75 off these novels written from 1954-78, but only four translated into English. With the spy craze in full swing by 1966, it was inevitable that an America publisher would start searching for overseas material. Operation Jealousy starts with a plan to trap a vicious ex-Nazi operative. The man is known as Erik Kleimann and he has papers which could make a certain presidential candidate in the US look very bad. It’s up to Al Glenne of the French Secret Service to find a way to eliminate Kleimann and get the papers back. At the beginning of the book, Kleimann manages to ambush and kill two French agents. He’s a very nasty character. The year is 1955. Complicating matters is Kleimann’s little femme fatale wife, Nadine. She’s from South America and plays every man around her for a sucker. 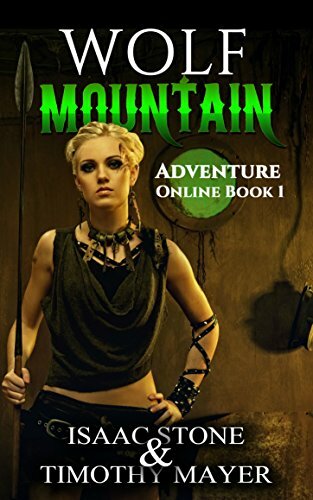 Nadine is barely out of her teens, but manages to kill a man in the first chapter and get her Teutonic husband to cover for her. The French agents track him all over Europe before the final confrontation at the end of the novel. This is a good novel which took me quite a while to read. I wonder how well the translation holds up to the original, but as I lack the ability to read French, I can’t say. One of the problems of comparing foreign language works to the original is the lack of material if you don’t read the language. I’m sure there is much more available on the series, just not in English.